It's been a few days since the 2012 Dunk Contest and everyone's still talking about how ridiculously wack the event was. Well, for the young'ns out there who don't know, the Dunk Contest was arguably the most exciting exhibition event in sports back in the late '80s and early '90s. 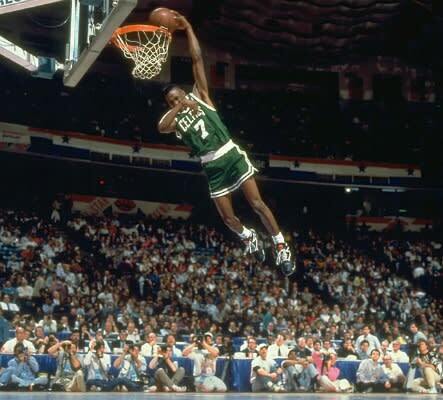 Dee Brown took the Slam Dunk Contest crown during this golden era when he stole the show with this "no-look" dunk back in 1991. C'mon, Chase Budinger. You can't disrespect the OG like that.